Over the past decade I have seen an increase in the awareness of the American people that the central government has overstepped its constitutional authority. Elected officials have outright admitted that all branches of government have usurped power, and have acted outside of the scope of authority laid out in the Constitution. We have an “elite political class” that feel they are above the law and in some cases ARE the law and can pick and choose which laws they will or will not enforce. Over the past decade I have been researching constitutional history, the proper role of government designed by our constitution and republican form of governance, and can only come to one conclusion – the government, as currently constructed, is NOT controlled or limited by the Constitution nor do those that lead our country abide by it. In all but political gamesmanship the Constitution has become irrelevant. For those that have studied the Constitution you know that the Bill of Rights was included based on the demands of a number of states that did not trust all this power going to a central government. After all they recall what an out of control central government can become and the hard fought war to get out from under it. The first Amendment deals with Religion, Freedom of Speech, the Press, Assembly, and Petition. Today there are hundreds of laws dealing with religion and the IRS has laws limiting what a preacher can say to his congregation. Most of you have heard of the so called “free speech zones” set up during certain events. There are laws that require permits, taxes or fees, security requirements, notices, etc. just to hold a rally or event. Is that free assembly? The government and the Supreme Court have ruled on your right to petition the federal government – their response: you can petition all you want but the federal government has no responsibility to answer. Really? The whole idea behind petitions are to demand a response; always has been, even under King George. Well, but he didn’t answer either and where did that get us? The Second Amendment, dealing with the right to keep and bear arms specifically states Congress shall not “infringe” upon this right. Today we have thousands of gun laws infringing the rights of the American people and regulating an entire industry – all without Constitutional authority. In fact much of today’s laws and machinations fly in the face of logic and the Supreme Court. In the case of US V Miller the Supreme Court’s logic for finding miller guilty of having an illegal sawed off shotgun was that it was not covered under the Second Amendment as it was NOT a weapon in common use by the military. Thus declaring that the weapons which ARE protected under the Second Amendment are military style weapons. But we can see how long that lasted. I will not go through each and every amendment but I think you get the picture. In fact every amendment has hundreds, if not more, laws limiting, abridging, giving to some, and taking away from others. Why do they pass these unconstitutional laws? Because there are no ramifications for doing do so! As mentioned earlier; we have elected officials who openly admit to ignore the Constitution and they get reelected. They pass unconstitutional laws and get reelected or at the very least retire with a full pension. There is simply no downside to ignoring the Constitution. To ensure environmental protection – has a nice protective ring to it. And regardless of whether or not it is a good thing to do, it was not a legal thing to do under the Constitution. More correctly the central government, through meetings with the governors of the states of the Union could have worked out how to handle these issues and if one state felt harmed by another the central government would have the judicial power to hear the case. Short of this, without going to the process to amend the Constitution, any action by this organization against a state, company, or person is unconstitutional. So why do they persist? Because there are no negative consequences for not following the Constitution. Bureau of Alcohol, Tobacco, Firearms & Explosives (ATF): Although originally falling under the IRS and Treasury they played a slight of hand and quietly switched to law enforcement with a justification of assisting States and local law enforcement. But even under these pretenses there is NO constitutional authority for their actions within the states of the Union. Department of Education came into existence in 1979 under Jimmy Carter, although prior to this there were federal offices of education but other than a very brief period in 1867 it was not a department or cabinet level organization. The stated purpose was “to promote student achievement and preparation for global competitiveness by fostering educational excellence and ensuring equal access.” A fine and laudable goal only not one of the enumerated powers of Congress to enact. Again where there is no negative consequence to doing something what is to stop them? Department of Energy – It is interesting that the Department of Energy was initially created to remove the US from dependence on foreign oil and having abject failure as its criteria went on to regulate every form of energy known to man. Only in government is failure rewarded with expansion. Department of Interior (DOI), Bureau of Land Management, National Park Service, etc. : Under the DOI there is a number of organizations managing literally millions of square miles of US land. But there is zero constitutional authority for the central government to own anything beyond that enumerated within the Constitution which would be: “Erection of Forts, Magazines, Arsenals, dock Yards, and other needful Buildings” along with the 10 square miles as the seat of government. That is it, no other authority to take land for any purpose. Now if they wanted additional power to protect land there is a process for attaining that power through the Amendment process. So why didn’t they? Because there was no detrimental effect for not doing so. In fact the central government has learned that if they just pass a law in Congress and do it, most often, they are not challenged and if they are the judiciary, which is part of the federal government, more often than not supports them. I have only listed a few government organizations, and there are agencies within agencies, and federal corporations, etc. 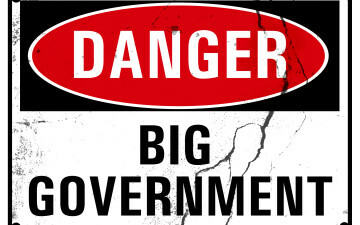 Our government has expanded beyond control or manageability with the vast majority of it outside the enumerated powers contained in Article 1, Section 8 and the only reason is because we have allowed it to happen. They do anything they want because we do not hold them accountable. We accuse them of breaching their oath of office and nothing happens. Elected officials write laws that exclude themselves and nothing happens. They take land from the people and the states by executive fiat to make a “monument” and we do nothing. They heap regulation after regulation stifling business and land use and we do nothing. They infringe on our rights, tax our property, tax our labor, regulate our toilets, showerheads, toothpaste, food, energy, medicine, and we do nothing. They legalize the mass extermination of millions of unborn children and we do nothing. They do all this because we do nothing. My fellow patriots, we have all heard that insanity is doing the same thing over and over again expecting different results – what we have been doing is insane. For all intent and purpose the Constitution lies dormant with barely a whisper of life but I hear the underpinnings of things to come – more tyranny – more regulation – more government control – more tax – and a still small voice that says no more, no further. No longer must we stand idly by and do nothing; it is time to stop the charade of Constitutional Government and force them to comply with the law of the land, the Constitution, or demand they step down and if they do not then it is time for “We the People” to do something – let your heart and conscience be your guide and vote accordingly this November. Veteran with service in the Army, Navy, and National Guard and has traveled around the world. Medically retired from the US Army due to injuries received in Afghanistan where he was awarded a purple heart. he has 20 years experience in intelligence fields and spent 8 years with the 19th Special Forces group providing intelligence support. Currently working as an intelligence liaison at US Strategic Command and owner of Raven Head Arms providing gunsmithing services to the public. Author of Unalienable Rights and the Denial of the US Constitution and author of preparedness and political/constitutional articles for various online news outlets. A political Parable - Lunch with the Presidential CandidatesWhich Way Will the Supreme Court Go?